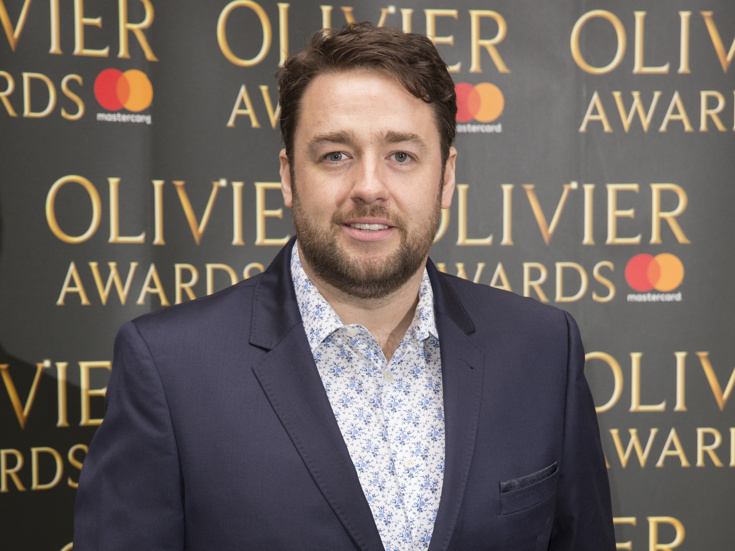 Jason Manford has been announced as host of the 2019 Olivier Awards. Having previously hosted in 2017, the much-loved comedian, actor and singer will return to the Royal Albert Hall for the glittering ceremony on April 7. "I'm absolutely chuffed to bits to be back hosting the Olivier Awards at the Royal Albert Hall," said Manford. “Having worked in theaters all across the country doing both stand-up and musicals for the last twenty years, I know the hard work that goes into putting on a show. It's a privilege to host this star-studded evening and to celebrate the very best of all areas of British theatrical talent." Manford is an award-winning comedian, broadcaster and actor. Known for frequent television appearances on programs like 8 Out of 10 Cats and Live at the Apollo, Manford boasts numerous stage credits, including the Olivier-winning production of Sweeney Todd, an acclaimed U.K. tour of The Producers and Chitty Chitty Bang Bang. Manford will lead a new touring production of Curtains later this year. As previously announced, choreographer Matthew Bourne will receive the Oliviers' 2019 Special Award for his achievements in dance. Competitive nominations will be revealed on March 5.